This & Other Stories knit dress is lovely. 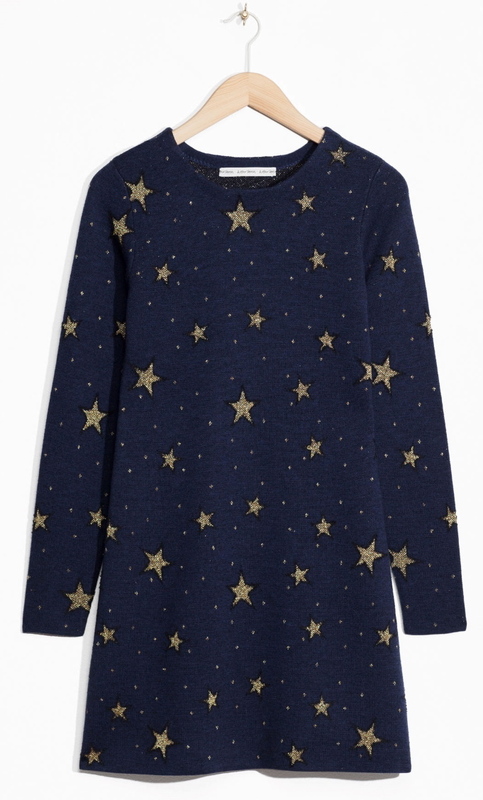 Stars, planets and zodiac patterns and prints are very popular this season and I love them. I like everything about this dress. The tone of blue is beautiful, I like stars and merino wool is my favorite wool, because it’s soft and warm but not fluffy. For those who like to wear festive outfits during Christmas holidays, this dress can be a nice choice, like these glittery pants.